Charles Ed Sherman started the self-help law movement when he founded Nolo Press in 1971. 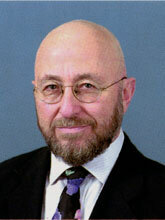 The seed was planted when he worked as Senior Attorney for Contra Costa County Legal Services in the late 1960s. Many people who came for help were not poor enough to qualify for free services, but were certainly too poor to pay a lawyer. They were stuck in situations the law said they had to do something about, with no way to do it. In 1970, Ed left Legal Services in frustration and started a law practice in his living room in an old brown-shingle farmhouse in Berkeley, California. He had received his law degree from UC Berkeley, Boalt Hall School of Law in 1964, and was admitted to the California Bar in 1965. Thereafter, he served as Assistant District Attorney for Los Angeles County, and later for Contra Costa County, before working for Legal Services. In his new private practice, Ed traded legal advice and services for whatever his clients could afford and contemplated how the legal system could better serve the public. Divorce was his first target because it was a required legal procedure for which lawyers charged a lot of money, even though the process was simple. Ed reserved a room at the Berkeley Co-op and put up posters advertising a $5.00 clinic to show people how to fill out and file papers to get an uncontested divorce without a lawyer. More than 40 people showed up and all were delighted by how simple it was to handle the divorce red tape. Ed had finally found a way to break down the barriers between courts and people! When the books arrived from the printer, Ed pounded the streets selling to stores in town and started looking for a distributor. The books moved slowly until he got a big boost from the Sacramento Bar Association. They came across a copy of the book and immediately sent out a huge press release warning people about the dangers of trying to get divorced without a lawyer. Ed and his book immediately became a media sensation and sales skyrocketed—Nolo has sold 15,000 to 25,000 copies a year ever since. On the 10th anniversary of the book, Ed went to the Sacramento County Bar with a gift box of the two-dozen Nolo books then in print. He thanked them for condemning him and invited them to please do it again. They refused comment. In 1973, Ed trained 18 people as “divorce consultants” to act as legal secretaries for the general public. This kicked off a whole new profession dubbed “independent paralegals,” or “Legal Document Assistants” as they must now by law be called. There are more than one thousand of them now active in California. In 1974, Ed moved to Sonoma County, taking his office and single staff member with him. He wrote two books on hydroponics and a few years later was in Canada writing articles and a book about the blooming computer industry, along with more books on do-it-yourself law. In 1990, Ed opened Divorce HelpLine in California, redesigning the way lawyers work to deliver a service that is economical and useful to people doing their own divorces. People anywhere in California can call a toll-free number and get an appointment with a top divorce attorney who will answer their questions without trying to take over the case, or they will do all the paperwork for you. It costs only a fraction of the usual fee charged by family law attorneys. Ed ended up sharing the Nolo Press name with a former co-worker at Legal Services, Ralph Warner. Between the two (now separate) Nolo Press businesses, there are over 50 subjects covered for the “do your own law” consumer. All those who can’t or don’t want to pay the expense of an attorney can now go down to the local bookstore or library and get step-by-step instructions from an inexpensive book. It’s not a simple operation. The laws are constantly changing, so the books must be updated often. 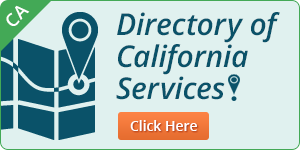 Ed’s California divorce book is updated every January and July, when most legislative changes go into effect. His Texas divorce book needs updating much less frequently because the Texas legislature only meets every other year. Ed has also created software that calculates child and/or spousal support, which requires annual revisions to stay up-to-date. Although he started with do-your-own-divorce books for California, Ed also wrote Make Any Divorce Better for a national audience. There are more than 1,000,000 copies of Ed’s books in print. If you figure it very conservatively (considering that library copies have multiple users) as 850,000 divorces with a bare minimum attorney fee of $1,500 each, he has saved the public at least $1.2 billion in legal fees! Ed considers the money saved to be secondary. More important is that his work allows people to take charge of their own affairs, keep a simple case simple, and allows a couple to get through their divorce with their lives intact. He has made this his life’s work, and is moving forward with new products and services, as described on his web-site, www.nolotech.com.